What a bittersweet night of opera this was: sweet because the musicianship and drama of Victorian Opera’s The Capulets and the Montagues concert was so satisfying that a fully staged performance’s costumes, sets and props were not missed; bitter in that it was a one-off, and the last of the company’s annual Bellini operas in concert that began in 2014. 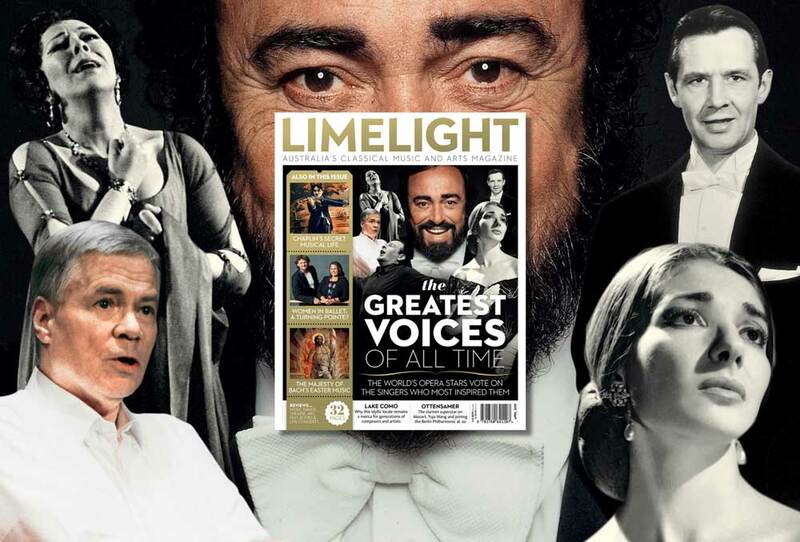 Having been given a good taste of the bel canto repertoire, which has otherwise been sadly neglected here in recent years, Melbourne is now left wanting more. First performed in Venice in 1830, I Capuleti e i Montecchi is similar to Shakespeare’s Romeo and Juliet, but mostly draws on a 16th century novella, Giulietta e Romeo. The key roles are reduced to five: the star-crossed lovers, who ultimately die in each other’s arms in that familiar scene of tragedy brought on by poison, a death-like sleeping potion and miscommunication; Giulietta’s father, Capellio; her fiance, Tebaldo; and the doctor, Lorenzo. The first notes immediately marked this as a concert with class. 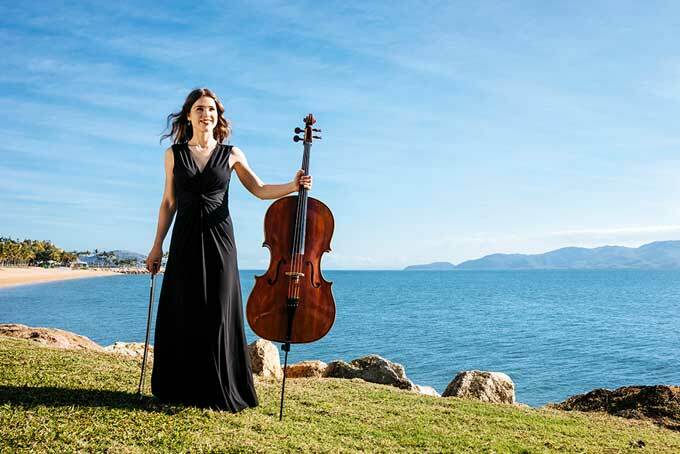 The Tasmanian Symphony Orchestra produced a full, lustrous sound noticeably different to operatic orchestras immersed in a pit, though their advantageous position on the Hamer Hall stage was but one of several factors. They interpreted Bellini’s lyrical score with beautiful rhythm, and the solos, especially Andrew Seymour’s Act II clarinet, were delightful. 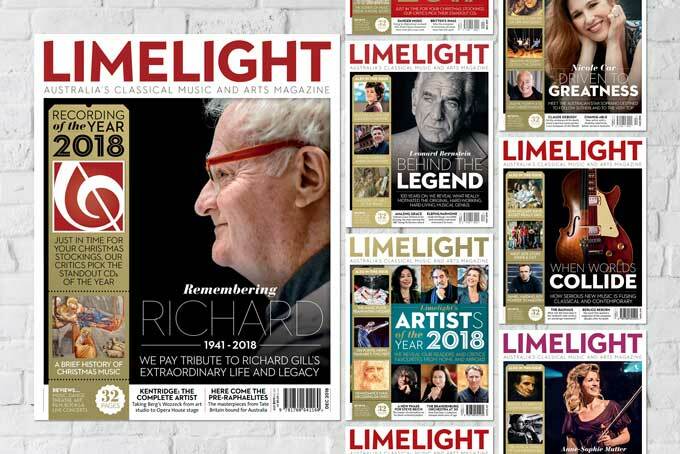 Victorian Opera’s Artistic Director Richard Mills had the baton – except when it escaped his grip in the midst of the overture, after which he urged his band to rise and encouraged the early applause. Like opera’s Santa in white tie and tails, he was the concert’s calmly enthusiastic driving force, smiling warmly and even giving the TSO two thumbs up. 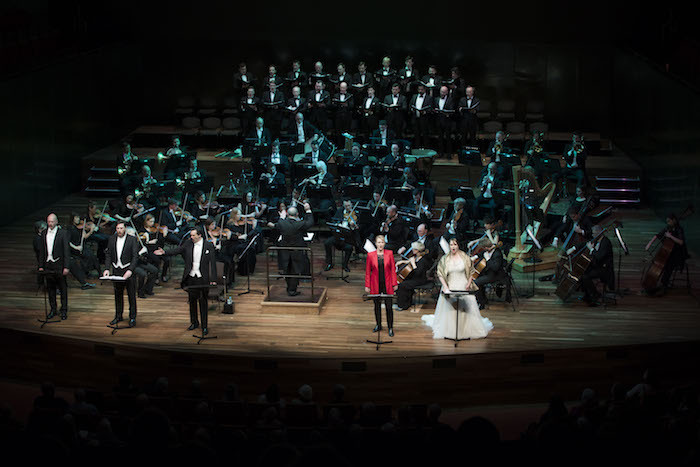 More so than last year’s fairly static La Sonnambula concert, the cast physically boosted the drama by often engaging with each other and moving to different music stands – even abandoning them altogether as Caitlin Hulcup regularly did, most notably for Romeo’s final, heartbreaking aria. Outstanding in this trouser role, which she took literally in black slacks topped with a different jacket for each act, Hulcup moved with a slightly masculine demeanour, energetically bit her thumb at Romeo’s rival, and heightened her death scene by producing an invisible bottle of poison. Her powerful, radiant voice was also rich with meaning and emotion. It’s bizarre that this was the first hometown performance for the Melbourne-born and raised mezzo since she moved to Europe in 2003. Let’s hope her Victorian Opera debut is the start of a long relationship. 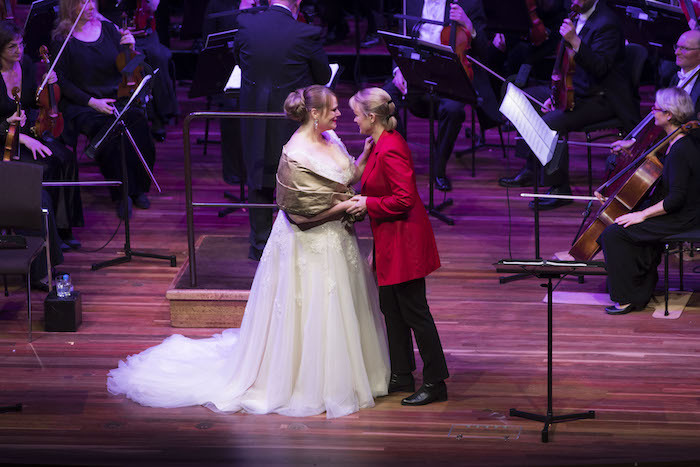 The other Australian doing great things overseas, though performing with Victorian Opera for the fifth consecutive year, Jessica Pratt also brought tremendous drama to the role of Giulietta, both as singer and actress. 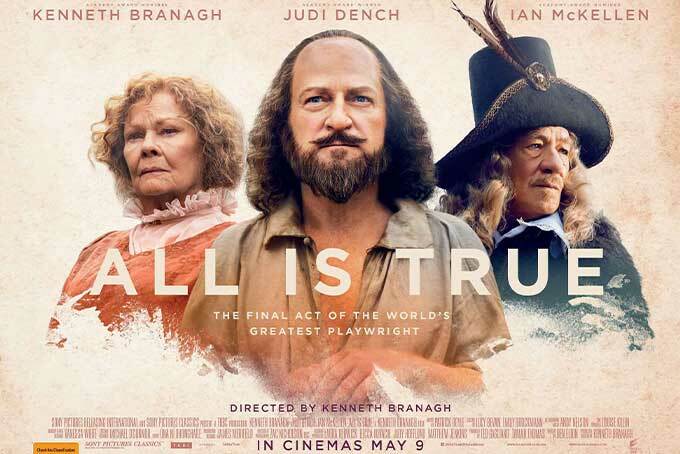 Even the way she turned the pages of music expressed emotion and, if I’m not mistaken, Pratt wiped away genuine tears during Hulcup’s powerful finale, as the suicidal Romeo grieves for the seemingly dead Giulietta. Though the role has less of the coloratura fireworks that made her performance in 2017’s La Sonnambula so extraordinary, she nevertheless delivered a masterclass in bel canto singing, from almost whispered phrases of extraordinary substance to towering top notes, strong and pure. Her Act I duet with Hulcup was the concert’s highlight, their voices in gorgeous harmony, as if made for each other. Pratt wore a spectacularly full-skirted white gown and gold wrap for Act I, in which Giulietta dreads her impending marriage to Tebaldo, then returned in an only slightly more subdued shimmering black ensemble for the fatal second act. The male principals played second fiddle to the ladies, but did so admirably. 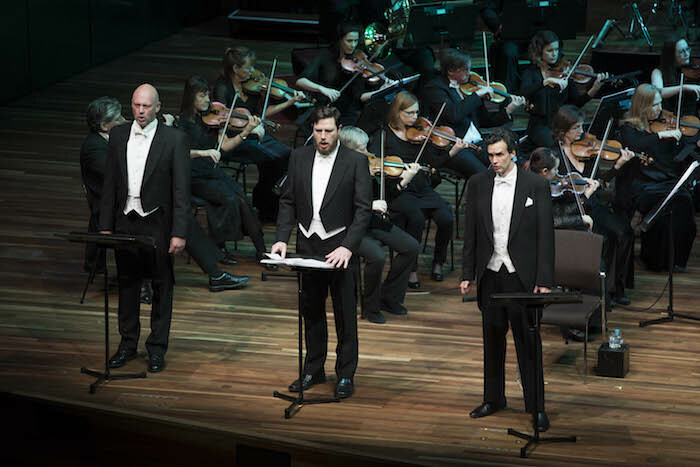 The lankiest of the three remarkably tall gents in white tie, Carlos E Bárcenas didn’t quite recapture the vocal splendour of his last outing with Victorian Opera, July’s William Tell, reaching a little for Tebaldo’s most challenging top notes. Even so, the young tenor impressed once again with gorgeous lyrical tone and colour, and remains one to watch. As Capellio, rising bass David Parkin had gravitas and an assured, rich voice, while Teddy Tahu Rhodes, though a little stiff as Lorenzo, revealed that unwaveringly warm, confident baritone audiences have long admired. The chorus, all male for the vast majority of the concert, were also in fine, measured voice. 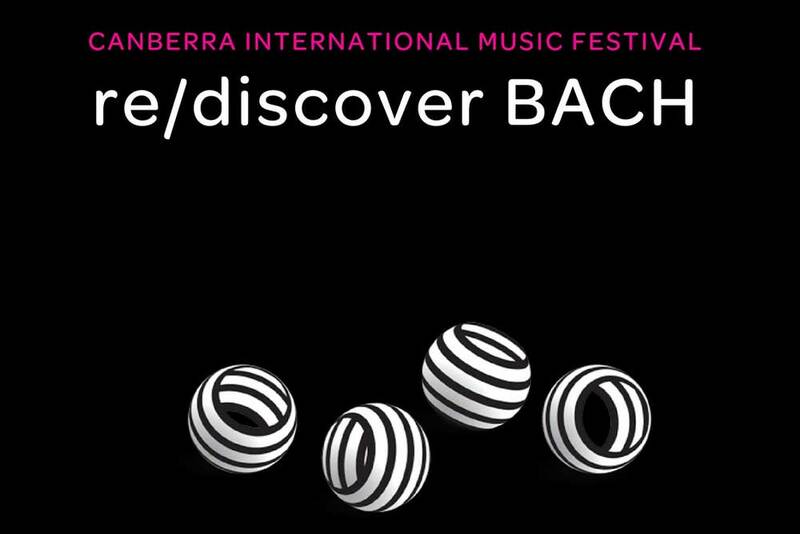 We keenly await Victorian Opera’s 2019 season announcement in October to learn whether more bel canto, Pratt and Hulcup are in store. The SSO's former chief Edo de Waart gives a muscular account of Beethoven's final symphony.